Today is the 50th anniversary of one of the most important events in human history: the day when a human being left the confines of Earth and entered space. On this date, April 12, 1961, Yuri Gagarin was the first such person. It took him just 108 minutes to orbit Earth and he returned as the World’s very first space man. First Orbit – the movie is a feature-length, experimental documentary film about Vostok 1, the first manned space flight around the Earth. A real time recreation of Yuri Gagarin’s pioneering first orbit, shot entirely in space from on board the International Space Station. The film combines this new footage with Gagarin’s original mission audio and a new musical score by composer Philip Sheppard. We’re currently having problem with one of our servers. Since we constantly hit by heavy traffic, a missing server causing significant performance degradation of SKY-MAP site. We working as fast as we can on a solution. Please be patient. Thanks. The server is fixed, up and running again. I spend last three days fighting server crashes, until I found there were hundreds of thousands of spam comments in “The Collection” area posted by spam bot. It was causing significant load on data base and memory. Our servers are running at peak of its capacities and cannot host zillions of your links. Could you please be so kind to stop posting non-relevant comments on WikiSky site. We had disk failure on one of our servers and had to use part of our raised funds to purchase two new 750GB hard drives for total of $260. We replaced older array of two 360GB disks. Though it is still not enough to hold all images, there is now more space to breath and hold traffic until we raise enough funds for new servers. Thank you everyone for your support! CRTC (Canadian Radio-television and Telecommunications Commission) by recent decision let very few corporations, who owns all telecom in Canada to practically get rid of their smaller competitors, who offered better services, and put draconian tariffs on internet usage. Until now Canadians were enjoying unlimited broadband internet at reasonable price offered by smaller internet providers or with some bearable penalties from major ones. The new internet tariffs are 25GB/month, then $1 per each GB over (with some limited options to prepay for additional usage). No competitors are now allowed to jump over those limits. To support WikiSky project we are heavily defendant on internet usage. Our monthly usage sometimes goes way over one terabyte per month (This does not include traffic on our primary servers located in data centers) With new UBB rates such usage will end up with four digit bills. We are looking for solution, but so far the only reasonable option is to upgrade our data center servers ASAP and move all internet bandwidth-hungry processes there. We recently have opened the fund-raising campaign to help with the servers upgrade project. 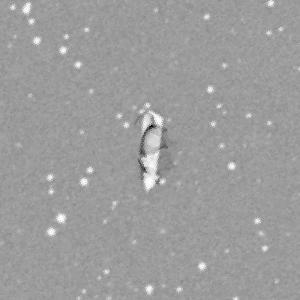 We’ve done some cleaning on new SDSS-III survey. New version is now available online. Basically we lowered priorities on drawing “dirty” SDSS frames on main survey, leaving cleaner frames on top. Though all SDSS frames are still available from list of images on starview pages. There still few minor spots left to clean. Next major thing to deal with would be the frame edges that sometimes, especially on bright objects causing significant defects – check out M31 for example. Due to limited resources on our primary two servers, we keep most of the new SDSS-III data on our temporary assigned servers sitting on slower internet link, so expect slower access to the survey until we upgrade our primary servers. 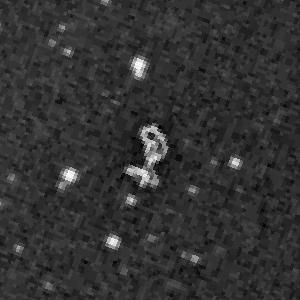 Astronomers have pushed the Hubble Space Telescope to its limits by finding what they believe is the most distant object ever seen in the universe. Its light traveled 13.2 billion years to reach Hubble. The dim object is a compact galaxy (UDFj-39546284) of blue stars that existed 480 million years after the Big Bang, only four percent of the universe’s current age. It is tiny. Astronomers were surprised to discover that these observations offer evidence that the rate at which the universe was forming stars grew precipitously in about a 200-million-year time span. This huge change in the rate of star birth means that if astronomers can probe a little further back in time they are going to see even more dramatic changes. This will require the power of the James Webb Space Telescope, the planned successor to Hubble, which will be launched later this decade. You can find more details in the Bad Astronomer’s article. WikiSky has a lot of information and images, but not as much as some professional astronomer’s tools. If you are really curious about some object you found on sky map and you want to trace it to the source, try NASA’s SkyView online tool. Well, it may be not that easy to navigate as WikiSky, but it is a great tool. Check out the gallery of what SkyView’s users found there: http://skyview.gsfc.nasa.gov/userimages/gallery-1.html. I saw there many familiar objects, including our famous “spaceships” and many other “suspicious objects”.